Richard Ayoade’s new feature The Double is set in a steampunk universe in which Victorian buildings and attitudes still exist today, fully powered by retro-style machines that hearken back to the industrial age of the 19th century. Here a young, highly repressed but intensely sincere young man named Simon James falls in love with Hannah but, like a true Dickensian figure, he can’t act on it. Nor can he attract the attention of his boss Mr. Papadopoulos or the head of the vast unfeeling company they work for, the Colonel. Enter James Simon, a new clerk in this hellishly stultifying environment. James knows nothing about the job and he seems only vaguely interested in Hannah until he realises that Simon loves her. All too soon, James, a man with overweening self-confidence, has the attention of Papadopoulos, the Colonel and, of course, Hannah. What’s Simon to do? Particularly when James and Simon look identical and but act like complete opposites? 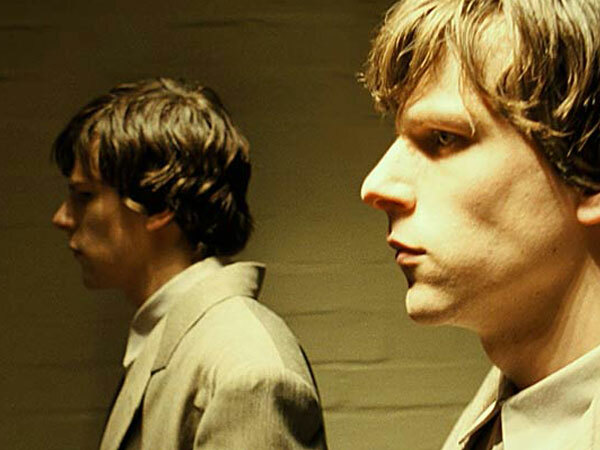 The Double is based on a Dostoyevsky story although Kafka could just have easily written it. It’s highly stylized but what’s it saying? 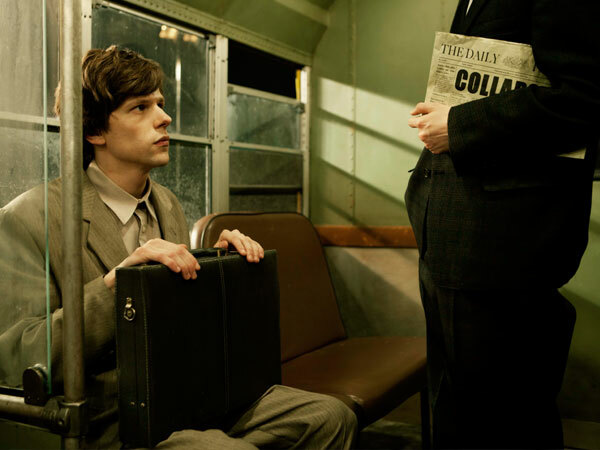 One thing is clear: The Double is a tour-de-force for Jesse Eisenberg, who plays the nerdy Simon James and his doppelganger James Simon, the ultra-confident dude who has no idea what is being manufactured by the company he works for—but is still its rising young star. Ayoade and Eisenberg milk the situation for its odd complexity, rarely using humour to achieve their ends. Accompanying Eisenberg in what often seems like a one-man show is this year’s Indie “It Girl,” Mia Wasikowska, the clunky, efficient Wallace Shawn as Papadopoulos, James Fox as the Colonel and Noah Taylor as James/Simon’s purported friend, Harris. Though there are good things to be said about The Double, the film is ultimately disappointing. As Gertrude Stein once put it, “there’s no there there.” This is a film in search of a genuinely interesting premise.